Your instincts are correct — the problem is fundamentally one of governance and legitimacy. As you suggested in your review of my book [Power and Legitimacy] a while back, the key question with regard to supranational power in the EU is “legitimate for what?” The governance crisis in the EMU right now is a consequence of legitimacy overreaching, if you will. The Eurozone countries set out on a course of conduct that demanded a range of policy tools that presupposed a willingness and/or capacity of its members to engage in fiscal transfers or mutualization of debt obligations that was in fact way beyond the actual willingness of the Eurozone countries to do (indeed, if the BVerfG is any guide, beyond also their constitutional capacity to do). The argument, it seems to me, is fundamentally a functional one: Europeans need to create institutional and political capacity commensurate with the functional demands of integration. But this functional argument misreads the historical character of institutional change. Political-cultural conceptions of legitimacy — i.e., understandings of where democratic and constitutional government should “rightfully” exist — also play a huge role in the process of contestation and (potential) settlement in the process of institutional change over time. And history shows that there is simply no guarantee that institutional change will always or necessarily conform to functional demand, particular where those functional demands are a consequence of political choices that, over time, begin to appear increasingly questionable to the broader population. Something’s gotta give at that point, and this, I would suggest, is what is happening in the Eurozone. Whether in the wealthier core or in the less competitive periphery, the peoples of the various member states of the EMU have increasingly come to realize precisely the costs of monetary union, not merely in terms of overall economic stability, but also in terms of democracy and constitutionalism in a historically recognizable (i.e., national) sense. And the governance crisis results precisely from the fact that the executive and technocratic (i.e., administrative) character of EU governance cannot in itself rightfully make the necessary engagements. Of course, numerous thoughtful public law scholars (Miguel Maduro prominently among them) have worked hard to articulate a theory of democracy and constitutionalism “beyond the state” that is commensurate with integration’s functional demands as they understand them. But articulating a theory is one thing, and seeing it realized as a lived political-cultural reality is quite another. If Europe’s “democratic deficit” were simply a problem of the lack of alternative conceptions of legitimacy, then the EU’s governance problem would have been solved a long time ago, because so many fascinating conceptions of supranational democratic and constitutional legitimacy have been on offer. These conceptions, alas, have not taken political-cultural root, even if the functional demand for some new form of denationalized governance in the EU, commensurate with the integration’s many ambitions, are so great. 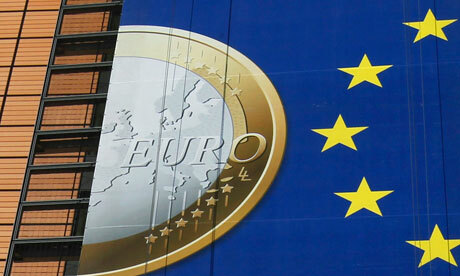 The Eurozone crisis is a case in point. It reflects the core problem with the EU, as I’ve extensively described it elsewhere (see, e.g., here, here, and here): the disconnect between integration’s actual or needed regulatory power, on the one hand, and the scope of its underlying political-cultural legitimacy to sustain that regulatory power, on the other. One cannot simply wave a magic wand and have the political-cultural (and hence legal and constitutional) obstacles to greater integration simply disappear. Economists love to point out that the actual fundamentals of the Eurozone, if aggregated, are actually pretty good — so why not just do the necessary political integration and be done with the problem? This is your classic “assume a can opener” argument, because it ignores the extent of European reluctance to pay the price, in terms of national democracy and constitutionalism, that such political integration would entail. The reason why the “Community method” has given way to intergovernmentalism (combined with national parliamentary and judicial assertiveness) is that the Eurozone crisis demands the legitimation that only national-level constitutional bodies can provide — hence the utter marginalization of the European Commission and the ECJ in this process. This does not mean that the situation might not change, and fast. The functional demands of the current crisis may well become so acute that Europeans will be forced to let go of their political-cultural reservations, and thus attempt to construct a new form of collective democratic and constitutional legitimacy for the EU that is genuinely worthy of the name, rather than the pale version (at best) that is currently celebrated by many EU theorists, to which your post alludes. But another outcome is just as likely: the dismantling or radical scaling-back of the EMU itself, an eventuality that is looking increasingly more likely, in the absence of some serious action by the member states. This entry was posted in Discussion and Debate and tagged Peter Lindseth by eutopialaw. Bookmark the permalink. I find quite interesting your point. Although, after reading an earlier post here in EUtopia Law about the legitimacy of Greece’s referendum, I believe that the issue begs a question: is it feasible for us to pay the price of not keeping on with the integration process, bearing in our minds a rather – if you allow me to say so- Westphallian conception of “sovereign states”? What’s the point of being “sovereign” as a small state, when currently we see that “state equality” bends to the reality of unequal states, depending on how much their economy can pull the strings? Don’t you think that the European crisis is also a crisis of political romanticism vs. a corporative reality?